I Love Etsy, Part II! After the last crazy awesome drawing, I had my eye on a set of Laurel & Hardy films from A Whiter Shade Of Pale… I thought I’d try my luck with the next installment in the Dragon saga. I’m so impressed by the effort that’s gone into the drawings! 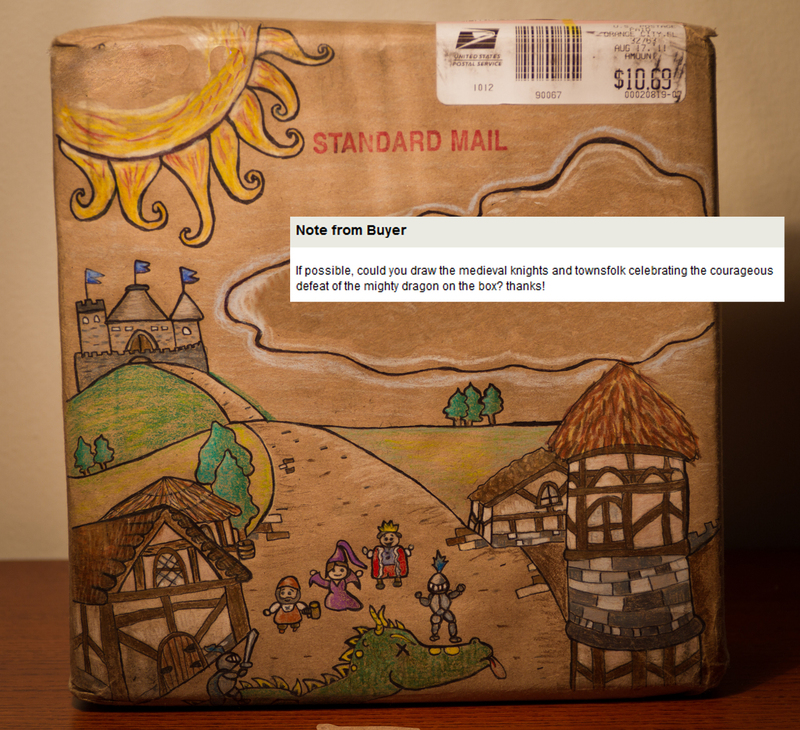 It makes me wonder if you could illustrate an entire kids book by asking random on-line stores to draw the scene on packaging.. Thanks again A Whiter Shade Of Pale!